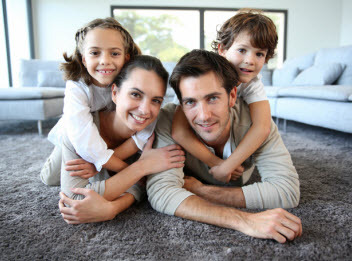 Do you need to hire a professional and courteous company that has expertise in carpet cleaning? Fresh Steam Carpet Cleaning has professional carpet cleaning technicians that are available to come out and treat your carpets for dirt, stains and odors. Out staff continues to get educated to be sure that they are up to date on the best and most efficient ways to clean carpets and leave them looking their best. 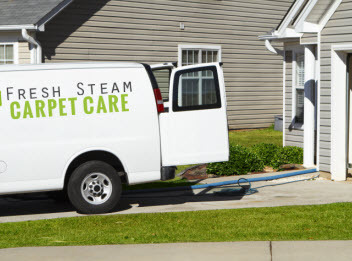 Fresh Steam Carpet Cleaning prides ourselves on our great customer service and quick turnaround time when scheduling appointments. Some people assume that if their carpets don’t actually look dirty then they must not be. The problem is that the carpet covers a large surface area so any debris, dirt and dust that is in the air eventually lands on the carpets. Some of that is removed when you run the vacuum but most of it remains. The dirt will settle in the carpet fibers and leave the carpet dirty. You don’t want to wait for your carpet to look dirty before you clean it. It is always better to have it cleaned on a regular basis to keep it looking and feeling clean. Our technicians can come out and clean the carpets and remove all dirt, dust and contaminants that has settled in the carpets with our industrial machinery that has powerful suction and cleaning attachments. Do you have young kids, pets or host parties in your home? Then you know all too well the woes of spills! When someone spills on the carpet, the moisture will immediately start to soak into the carpet, carpet fibers and the padding. Even if you start to treat the spot right away, it can leave some discoloration on the carpet. This is a stain that can be treated and removed by one of our experts. There are many types of stains that are left on carpets and they take special care and treatments to make sure that they are completely treated and removed. It is always a good idea to have someone come out and treat your home for stains before they clean the carpets. Our staff is trained on the best ways to treat and remove all kinds of stains. If you have a pet, you know that there are moments where they don’t quite make it outside to go to the bathroom. This can lead to an accident on the carpet that needs to be treated. Even if you get the look of the stain out, the odor can remain. This is also the same with other types of spills such as coffee and even odors left behind by smoking. Treating for a problem that you cannot really see can be difficult and is best left to the professionals. We have the equipment necessary to come out and treat your carpets for odors that are left by anything such as smoke, spills or accidents. 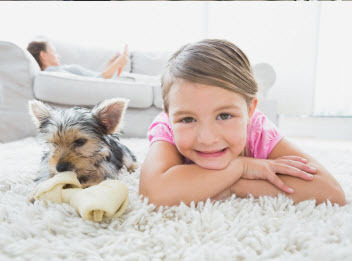 Fresh Steam Carpet Cleaning offers carpet cleaning as well as odor removal and stain removal to our valued customers in the Greater San Bernardino, CA area.